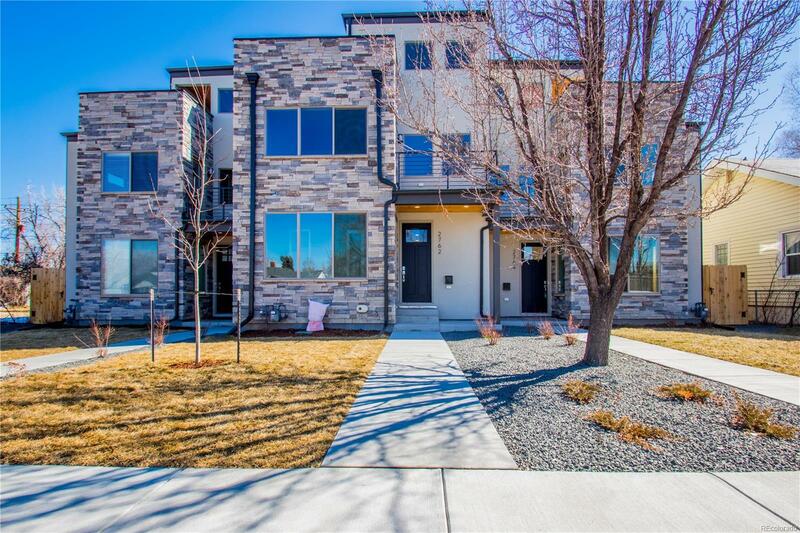 Beautiful new contemporary home in Englewood. This home features hardwood floors and 8' solid core doors on the main level. The spacious kitchen has SS KitchenAid appliances and quartz countertops. The Master bath features euro-style finishes with designer porcelain tile in all the bathrooms. The main floor bedroom is great for a home office or library. Enjoy the bonus room with wet bar on the 3rd floor with an expansive 223 SF outdoor rooftop deck and mountain views. Bonus tankless, on-demand water heater is included to save on energy costs. Walk to all the great restaurants and businesses of the hip and trendy SoBo area. Great access to both the Englewood and Evans Light Rail stations, Porter & Swedish Hospitals as well as Harvard Gulch & Overland Park golf courses. NO HOA. 2 year Mechanical & 10 year Structural Warranty included (2-10 HBW).